If there is one thing that’s more polarising than our feelings on which Netflix series to start next, it’s weird bubble tea boba food combinations. You’re probably thinking, as we did, “That can’t seriously be real”. While we’re never one to decline a trip to our nearest bubble tea shop, we also have very personal feelings about what flavours and boba go or don’t go together. Take a look at our list of the weirdest, most insane bubble tea food concoctions (two of which are available right here in Singapore), and gird your stomach. It’s going to be a rough ride. Bake Code’s whole M.O. is to prove that boba can be the star of the meal, not consigned to side status. 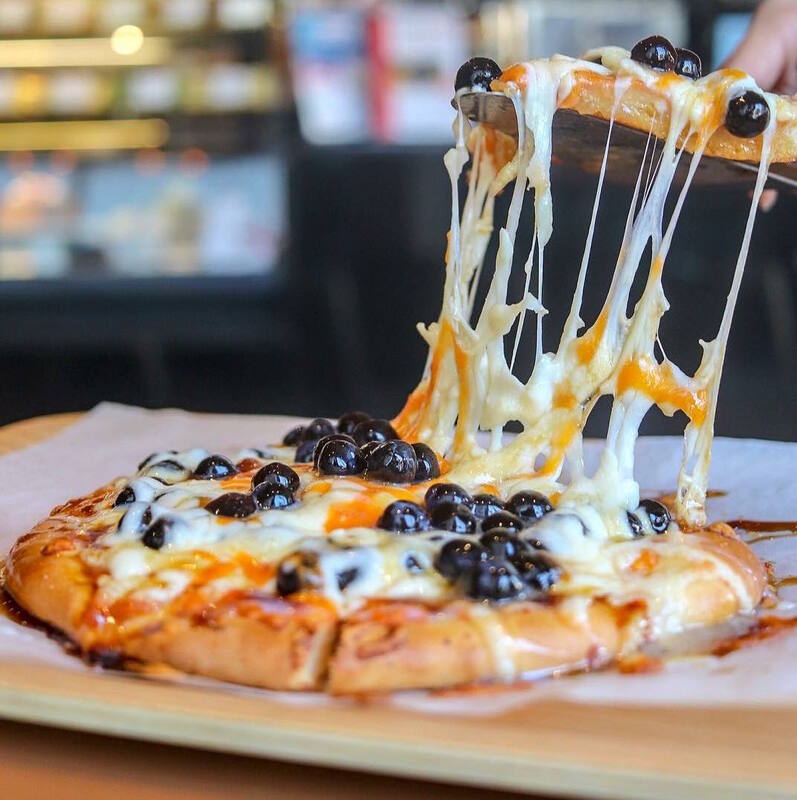 This dish is a strong contender for the weirdest boba combo, with tapioca dough, mozzarella cheese, topped with brown sugar and a condensed milk glaze. “Hell-to-the-no” were our initial thoughts on this dish. 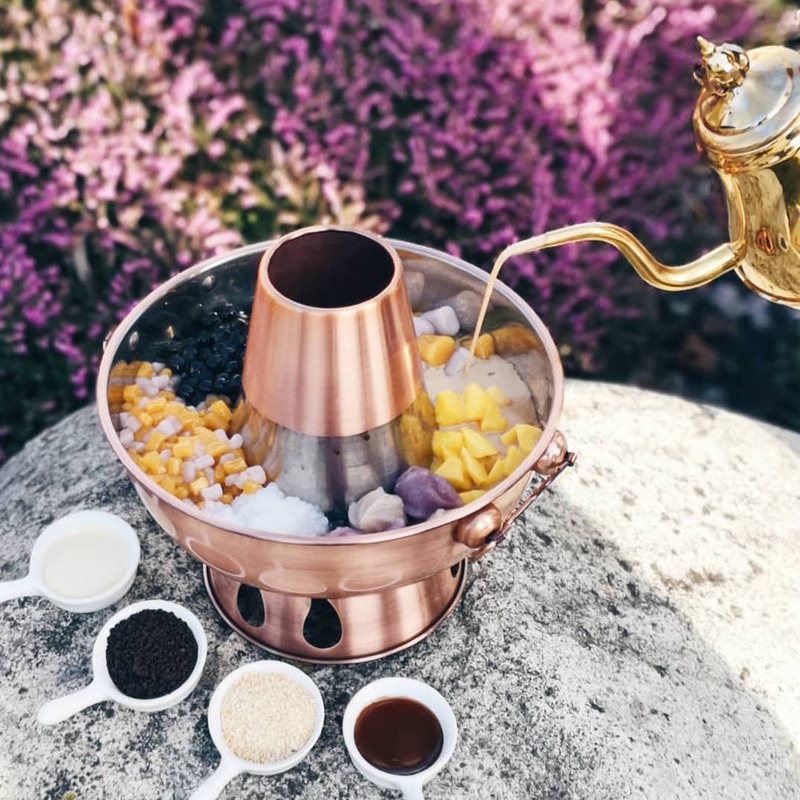 To be served either warm or cold, this bubble tea hotpot includes other desserts like grass jelly, mochi taro balls, sago and copious amounts of milk tea. No, thank you. Next. 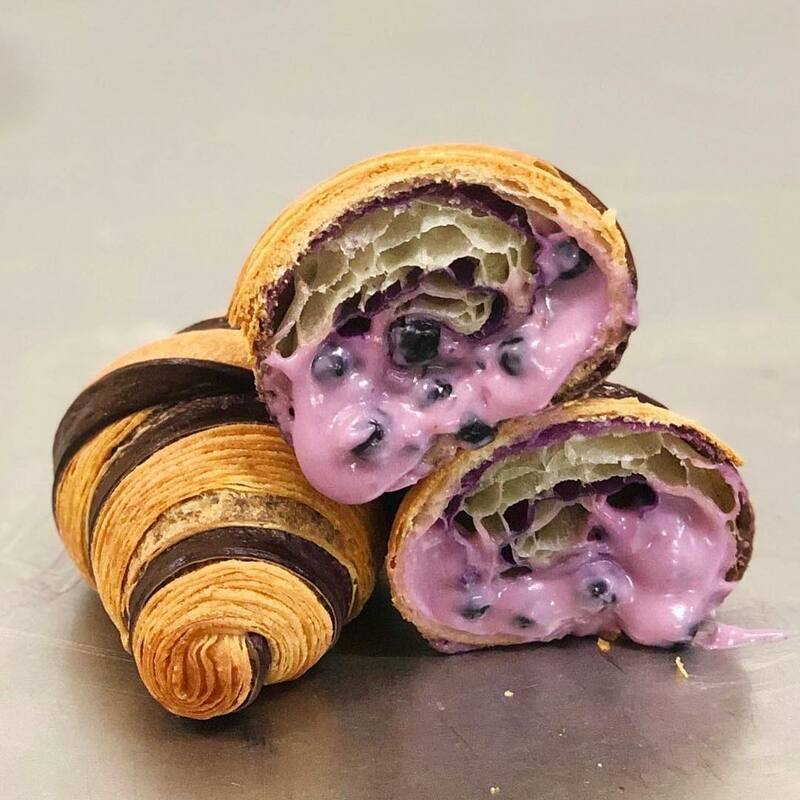 Food mashups are a dime a dozen — but something about this bakery’s Taro Boba Milk Tea Mochi Croissant and its brown sugar pearls that just gets us. Part croissant part bubble tea, this flakey-buttery creation enveloping a gooey taro centre has us perched firmly on the fence. Now here’s a pairing that actually tickled our fancy. 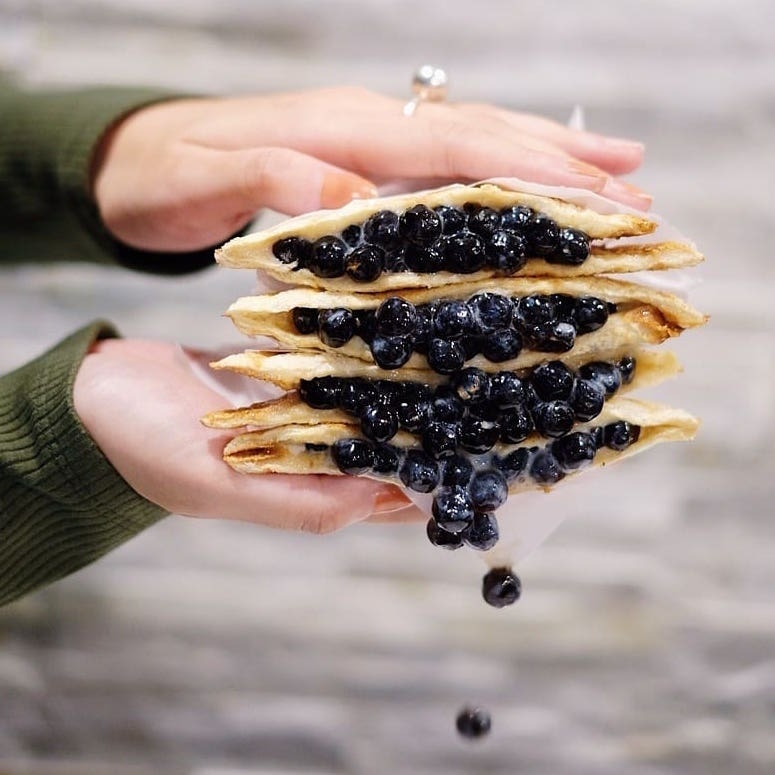 Tea Alley is dishing out creative bubble tea fare — and their Boba Pocket is the heart of this foodie situation. A crispy exterior encases the boba and condensed milk for creamy crunches in every bite. This homegrown and, pun intended, bubbly bakery has become a local favourite for their customised buttercream cakes. 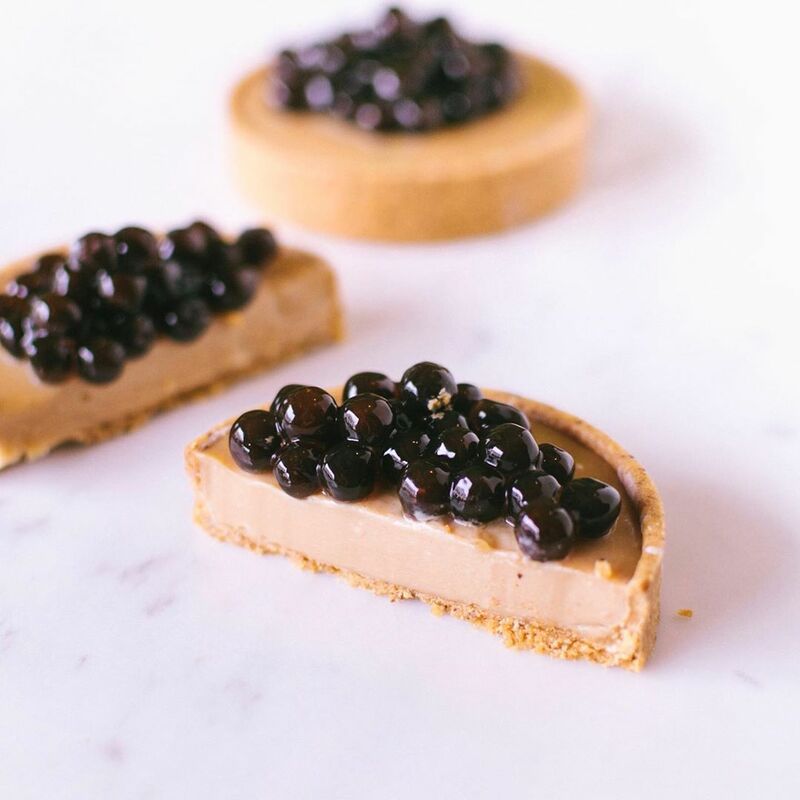 So when we heard whisperings of their bubble tea tarts, we wondered if the flavour profile would be overwhelmingly sweet. Who knows? It might even be a conversation starter at your next party gathering.